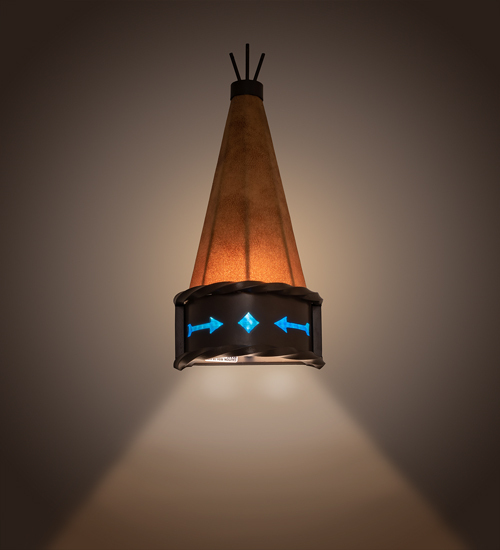 Description: Take refuge and enjoy the warm light and visual comfort of this Native American inspired sconce. Stunning illumination projects through natural colored faux rawhide cradled by Solid Steel trimmed with a braided rope design finished in Timeless Bronze and highlighted with tribal symbols in Blue/Green art glass. Steel accents, that simulate branches supporting the shelter, protrude above.